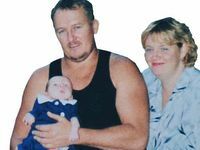 THE EXPLOSION which left no hope of survival for Fraser Coast miner Willy Joynson ended a “cruel waiting game” for his family yesterday. The 49-year-old Howard son was among the 29 men confirmed dead yesterday after being trapped in New Zealand’s Pike River mine since last Friday. 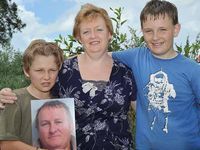 His wife Kim and two sons Johnathan and Benjamin are believed to have been at the site when Police Superintendent Gary Knowles announced a second explosion had torn through the mine, leaving no survivors. While his immediate family were too distraught to speak, Willy’s cousin and long-time workmate Russ spoke on their behalf. He said the family was understandably in shock and preparing for the battle to bring Willy’s remains home. “At least the end of the cruel waiting game has come,” Russ said. At the time of going to press no bodies had been recovered but Russ said that when the time came, the family would fight to have Willy brought home. For almost a decade Willy travelled around the state working in mines in Blackwater and Moranbah. Earlier this year the experienced underground coal miner moved his family from Tinana to New Zealand. They had planned to move back to the Fraser Coast in the new year. During the 80s and 90s Russ worked with Willy at Howard’s Burgowan mines. He said he never once heard one person say a bad word about his cousin who always had a smile on his face. “There will be a lot of sad miners here and in Central Queensland who will have had the pleasure of knowing him and will be in shock tonight,” he said.